In the past few years, the global economy has been severely tested by the economic crisis started in 2006. Everywhere in Europe, economic growth has stagnated and the employment opportunities for youth have decreased. 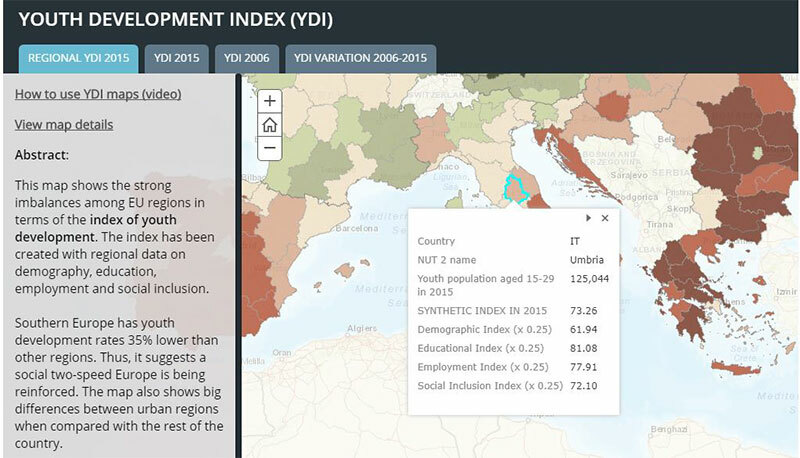 The data shown by the YouthMetre e-tool give us a gloomy picture of the employment issue among youth in Italy. Indeed, although the percentage of youth population in the country aged 15-29 is not very high (15.18% of the total population), 42.70% of these young people in 2014 were unemployed. Looking at the variation since 2006, the figure has dramatically increased by 20.9%. The percentage of unemployed youth is much above the EU28 average and has dangerously increased from 2006 to 2014 from 21.8% to 42.7%. Moreover, the youth in long-term unemployment increased drastically from 2006 to 2014, from 9.30% to 25.10%, one of the lowest performances in EU together with Spain and Greece. Overall, the employment and entrepreneurship index, which is part of the youth development index, is 81.45, placing the country among the lowest in Europe together with the Eastern countries, Greece and Portugal. 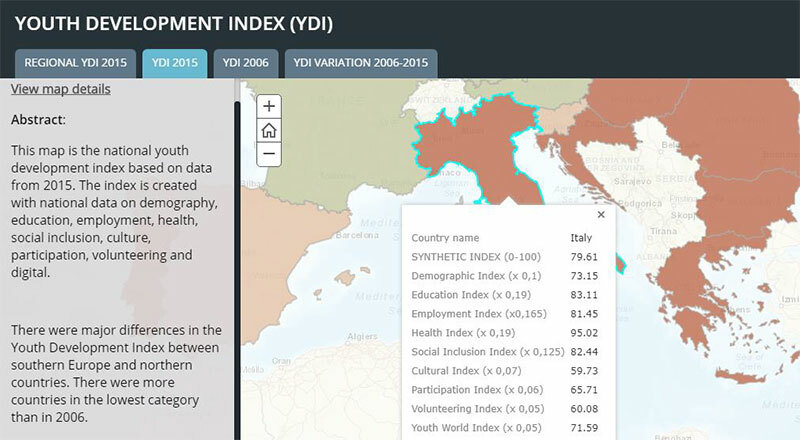 The YouthMetre data dashboard makes it possible to obtain data in order to see whether this trend has worsened in the last years as a result of the recent crisis and the specialization of the Spanish economy in some sectors as tourism or construction. The European data shows that Spain has had a four-fold increase in the rate of youth long term unemployment. 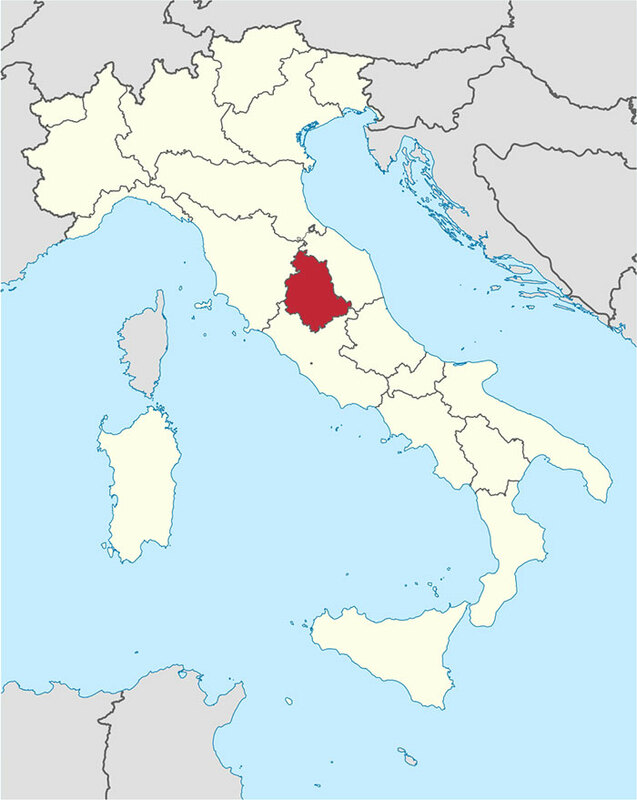 The global crisis that started in 2008 negatively affected the economic performance of the Umbria region, the investment propensity and employment dynamics. From 2008 to 2014 the number of employees decreased by 5.4% and the unemployment rate increased considerably from 4.6% in 2007 to 11.3% in 20141. The YouthMetre e-tool helps us to understand these figures from the youth perspective. The youth population aged between 15 and 29 in the Umbria region is reported to be 125,044 (13.98%) in 2015, and the 38.70% of those between 15-24 are unemployed (with an increase of 24.10% since 2006). The share of young people in long term unemployment in 2015 amounts to 13.40%. In terms of the employment index, Umbria scores 77.91, placing the region among the worse in Europe. The figures clearly indicate the urgent need to tackle the unemployment situation, through concrete actions and initiatives from the local and regional public institutions, the civil society and the private sector as well. Through the use of the Youthmetre, policy makers active in the field of youth, employment and entrepreneurship can take inspiration, information as well as data support for their ideas and policy proposals. Comparing regional and country-level data as well as learning about the outcomes of initiatives and actions taken in other municipalities/regions across Europe, the local authorities are enabled to identify the demands from the target population and to take action in line with their needs. At the same time, the Youthmetre instrument gives the possibility for the youth population to engage in the policy making process and decisions that affect them and the places where they live. One of the inspiring “good practices” reported by the YouthMetre, is the project YOU-ENTER’PRENEURSHIP that was implemented in November 2015 in Loughborough, UK. The project sought to support youth organizations to promote and educate young people in the fields of entrepreneurship and social enterprise. 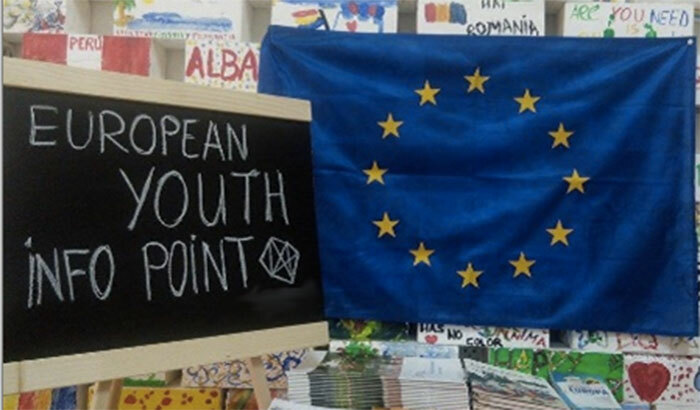 It involved 30 young people representing their organisations from Armenia, Azerbaijan, Croatia, Georgia, Italy, Latvia, Moldova, Romania, United Kingdom and Ukraine. Based on the principles of non-formal learning, the participants attended a one-week programme during which they strengthen and developed competences in the entrepreneurship field with an emphasis on social and youth entrepreneurship. Through individual and group work, Powerpoint and video presentations, group and plenary discussions, simulation activities, case studies, field visits and meeting with local experts and entrepreneurs, the participants learned what makes an enterprise a successful one and how youth entrepreneurship can contribute to reduce global poverty. They were provided with concepts of: entrepreneurship development (such as business plan, resources, risk etc. ); differences between business, entrepreneurship and social entrepreneurship; successful entrepreneur competences; steps needed for a Start-up and project development; cooperation among programme and neighbouring countries; tools for the economic and social inclusion of young people with fewer opportunities; Erasmus+ and Youth Mobility projects. This project could inspire regional authorities and civil society organizations in the Umbria region when dealing with the issues of employment and entrepreneurship among youth. The idea of setting up info day, workshops as well as training, operating in a cyclical way, in the different municipalities of the region might help the youngsters in getting to know the opportunities promoted in the context of the EU employment policy, Europe 2020 strategy and the Youth Strategy. Another idea can be represented by the creation of a permanent office/infopoint for young unemployed with entrepreneurial ideas but lacking the funding and the necessary business skills. The infopoint can provide the youngsters not only with information about social and youth entrepreneurship, about the funding opportunities available at the local, national and European level, but also with personal/collective coaching from volunteer expert in the field of start-ups or social enterprise. The coaches will serve as a point of reference for those young people willing to set up their business or to engage in an entrepreneurial activity. They will train the beneficiaries in subjects like financial management, budgeting, marketing or how to develop a business plan and a project from A to Z. The info point can also be a meeting place and a co-working space for young entrepreneurs to share their ideas and it can host conferences/lectures from young entrepreneurs with success stories. This public open space for young people could represent a meeting point in which they can develop together new different solutions for the youth unemployment issue and to propose them at the political level. 1. 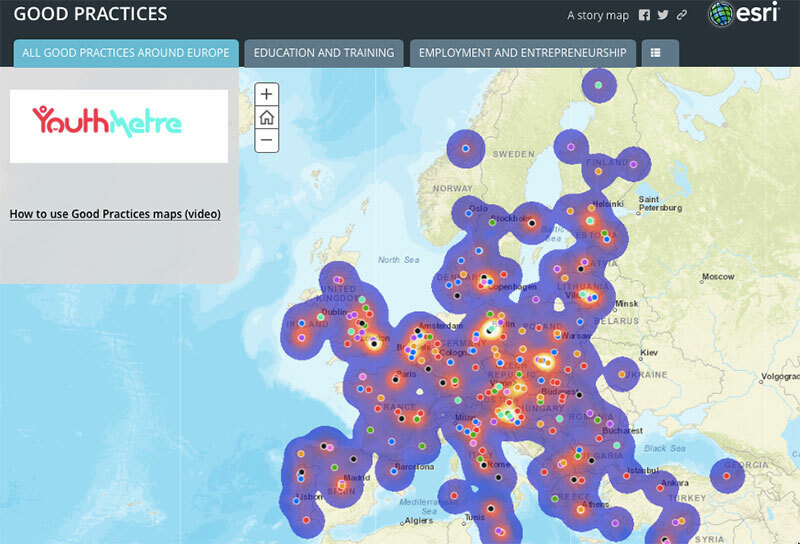 The project idea will be launched through the map-based interactive platform “GEOCITIZEN”. The platform is an innovative e-tool for “neighbours” to come together and propose solutions about relevant issue in the neighbourhood/municipality/region. 2. Within the platform is possible to use the most popular social networks, such as Facebook, Twitter, Instagram to invite and reach out more and more people interested in the issue of youth unemployment, to join the discussion and develop a collective solution. At least 500 people joining the public discussion on the platform will be needed in order to address the problem with joint force; among these it would be desirable to have experts and actors from the private sector able to provide data and information. 3. Once the collective idea is developed and the final solution voted by the community of the platform, it will be launched to the public authorities of the Umbria Region. The Umbria Region will be informed about the platform and invited to join the discussion through an official document and/or via local media (newspaper, TV news, online newspapers…). 4. The representatives of the Region will be required to answer to the proposal and set up an internal session to discuss the public proposal and whether it is feasible. 5. If the proposal is accepted with some modifications, these will be shared in the Gocitizen platform with the community involved, that in turn can approve or refuse it; whether the proposed idea will be refused, the public actor may develop a new one and share it with the target community in the Gocitizen platform in order to keep the population involved and receive some feedback for changes/improvements. We believe that this innovative tool reflects the needs of the local communities, especially the young people, to be closer to the policy making process and more involved in the public decisions affecting their environment and their lives. The use of these kind of e-tools results in a win-win situation, for both the municipalities (to gain public support) and the citizens (to be heard from the institutions and involved in the decision-making process).